Okay, I’m a fashion stylist, what does that mean? Many things, but one of the most important parts of my job is making sure clothes look amazing and one major thing that makes clothes look terrible are wrinkles. As a busy mom I know that time is not in abundance and that sometimes keeping clothes looking neat is not a top priority, so I just wanted to share with you my main trick. Steam. Get rid of that iron. Ugh! I hate irons! They infuriate me and I refuse to ever use one. They ruin clothes by scorching them or spitting that gross brown water on them – and then there’s just the obnoxious factor of having to get the ironing board out and yadah yadah. So, do what my fellow stylists and I do – use steam. *** I will share the actual steamer that I use BUT – I need you to know my fun, efficient, time saving and INEXPENSIVE tip which is to take your clothes into the shower with you! Not IN the shower but in the bathroom – hang them just outside the shower, turn on the hot water, have a shower, and whilst your bathroom steams up, the wrinkles in your clothes will fall out. Of course, the heavier the fabric the more time it can take – but this is an easy and fast way to prep your clothes while you’re getting ready for the day – and what mom doesn’t love a good multi-tasking tip! 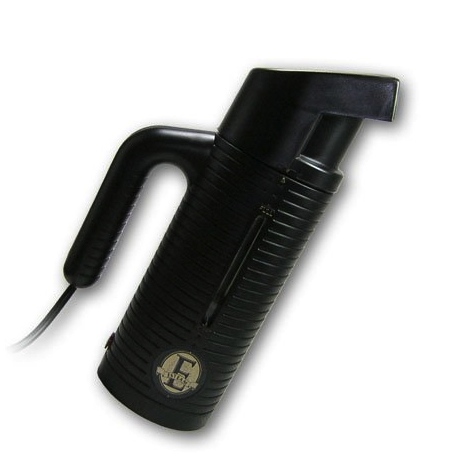 Now, on to the equipment, the Jiffy steamer I am picturing below is the one that I use and the one that I find in every photo studio and location van. It is tried, true and the best. That said, Jiffy also does an amazing hand held (which I am also picturing) which I keep in my kit which is small, light weight and less expensive. That said ,there are tons of steamer options out there at varying price points – these are the 2 that I can solidly vouch for. Extra tip, I put a white ankle sock over the head of the steamer and rubber band it on to make it taught – this helps absorb some of the water and prevent it from spitting all over your clothes (I hate that) and always try to steam from inside your clothes, put the head of the steamer inside the garment and steam along the fabric from inside. Finally, if you’re dealing with particularly delicate fabric like silk make sure to use filtered water (just to be on the safe side) and never touch the head of the steamer to the fabric. Let the steam get to the fabric and sort of guide it along the areas that need attention (the sock will also add an extra layer of protection just in case). Happy steaming!